Home » India GST – How will Goods & Services Tax impact global gold price? India GST – How will Goods & Services Tax impact global gold price? Historically, gold prices and gold regulations in foreign markets often have a large impact on gold prices throughout the world. And when these new rules take effect, they can also affect gold buyers globally. Such is the case with new tax rules in India, the Goods and Services Tax (India GST) taking effect in July, which will replace India’s often lamented, (and difficult to navigate) tax laws. India is renowned for being one of the world’s largest gold markets, with mining.com suggesting in 2015 that over 20,000 tonnes of gold is privately held in India as coins, bars and jewellery. A new, simpler nationwide Goods and Services Tax, which is the Indian version of VAT, is the largest financial reform that India has seen in decades. However, because the states will lose their autonomy on how much they can charge, there is some fierce opposition. And some businesses are also challenging the reforms, as they will now have to give comprehensive accounts of their sales at state and central level. could it mean higher prices for gold consumers? Initially, the answer is higher prices, as gold buyers in India will see a slightly higher tax rate, but this is due to the gold market going through a period of adjustment. Once corrected, the World Gold Council predicts that the net global impact of this new tax rule should be a positive one. Many firms throughout the industry are adjusting their supply chains, making them more efficient, which will help to bring purchase prices down. It’s likely that there will be more industry consolidation with the new GST, which will be good news for this highly fragmented market. In India, small-scale operations currently hold 95% of the industry’s retail market. But the new tax rule means that it’s a more level playing field, where larger companies will be able to gain more of a market share and accelerate the speed of consolidation. Gold exports are expected to increase. The new India GST offers tax incentives, which should also help increase the flow of bullion rather than doré, which has historically been a market favourite in India. An increase in the flow of bullion in India could lead to lower physical gold prices in the US, UK and other parts of the world market. 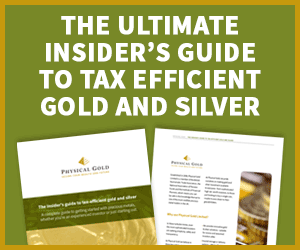 The tax system in India is currently very complex, often double taxing, creating barriers to the movement of gold. But the new GST should change that and bring in more goods, services and capital to the Union. Having one single rate apply across the board will, remove the double taxation issue and should boost economic growth, which will lead to better trade deals and a more positive gold market for us here in the UK. Overall, the new Indian GST, although drastic & disruptive to begin with, should have a positive effect on the gold market, boosting the economy whilst making the market in India more transparent. This should, in the longer term, support the global gold market and be of benefit to gold buyers around the world. You can view for more information on anything gold related, contact us here at Physical Gold or click here to buy gold online today. This entry was posted in Blog and tagged Gold Price, India GST.